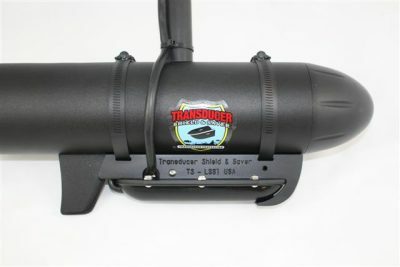 This Transducer Shield® can be installed on a Trolling Motor that has a Built In Sonar in the cone, OR on a Jack Plate, Hole Shot Plate or Set Back. Additional components will be required. It is Very Important that you complete the questionnaire when ordering this item. 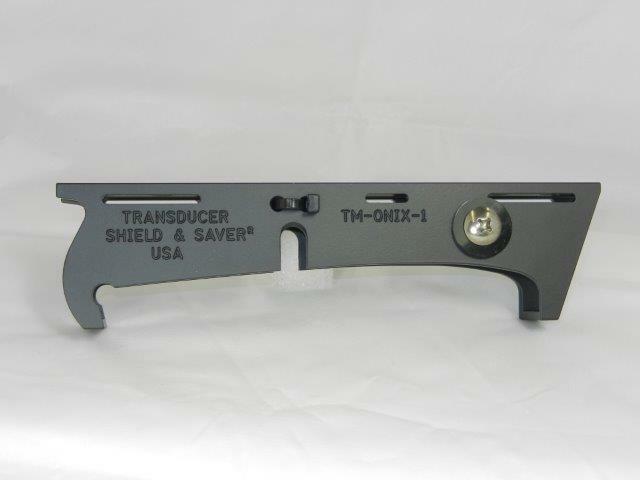 Item # TS-LSS-1 is built in High Quality Aluminum Alloy and Black Powder Coated. 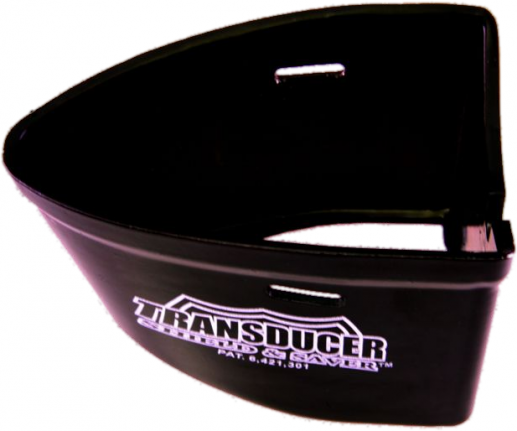 It is designed to fit Lowrance® LSS1 (6”) Structure Scan Transducer. 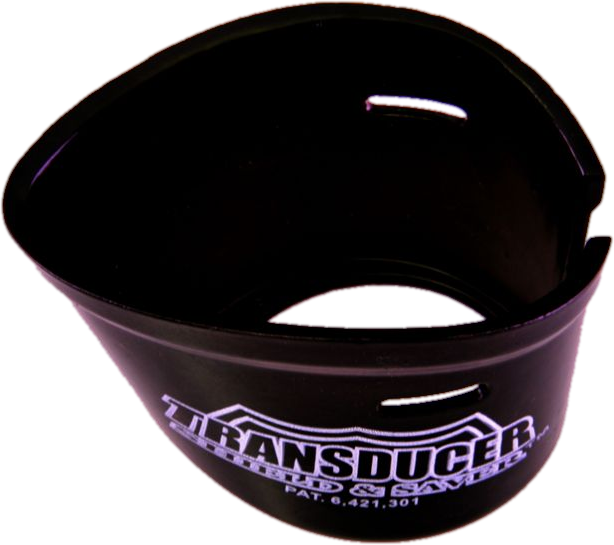 This item DOES NOT fit the Lowrance® LSS2 (10-1/4”) Structure Scan transducer. 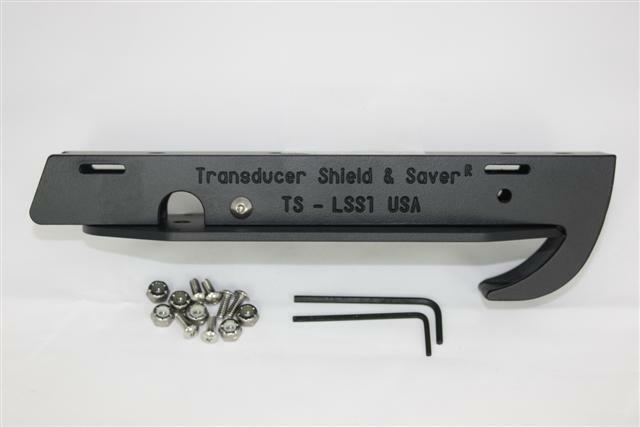 Please go to TS-LSS2-L if you have the longer transducer. The Sleek Hydrodynamic Design will cut through the water for less drag, especially on trolling motors. 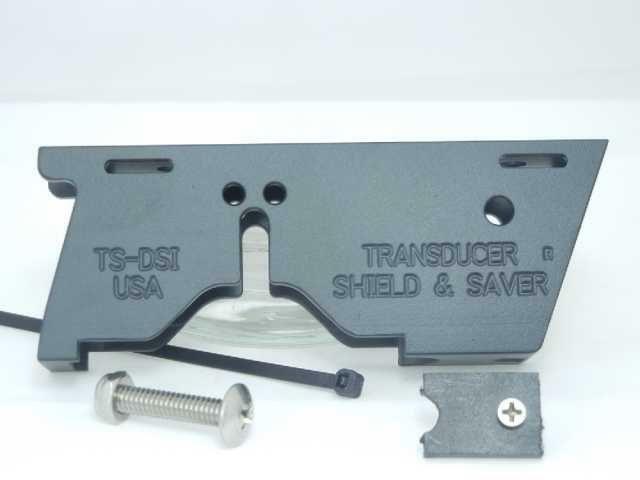 It reduces collection of debris, keeps the transducer positioned correctly and will not interfere with the transducer signal. 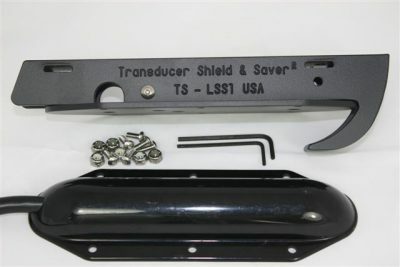 Item TS-LSS-1 along with additional accessories can easily be bolted to the side of a Jack Plate, on the Hole Shot Plate under the Jack Plate, OR on the boat set back. 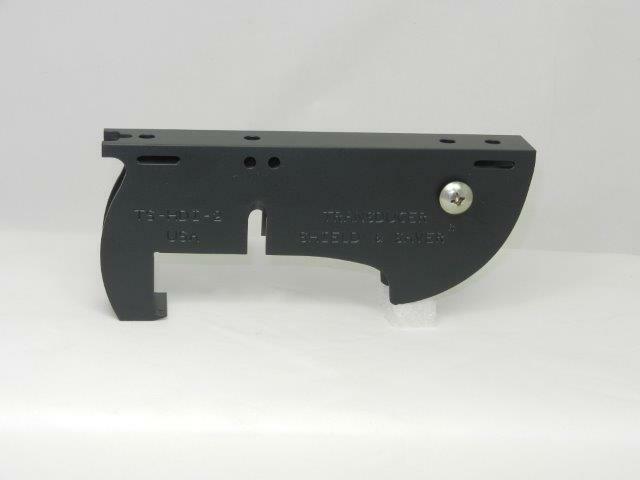 For this installation, please see L Brackets or Wedges. When installing a Structure Scan transducer it is important that you are aware that an in hull transducer will also be required. 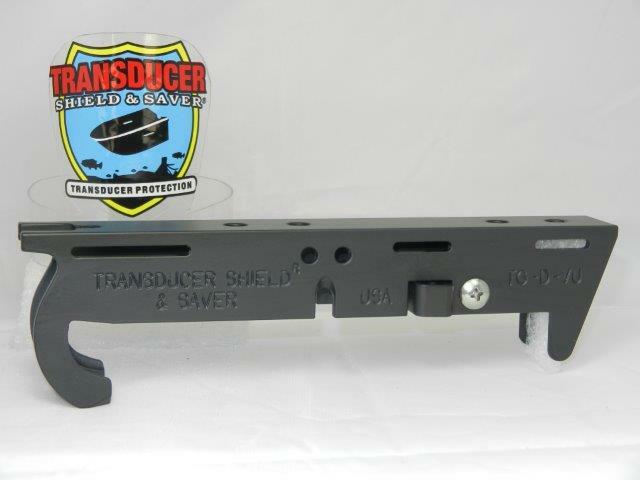 The Structure Scan transducer signal picks up trees and structure etc. 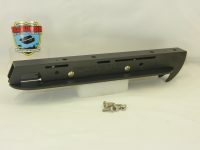 A pod or skimmer transducer will pick up fish, depth and will separate the fish from the structure. Resulting in the best performance when the boat is up on plane. 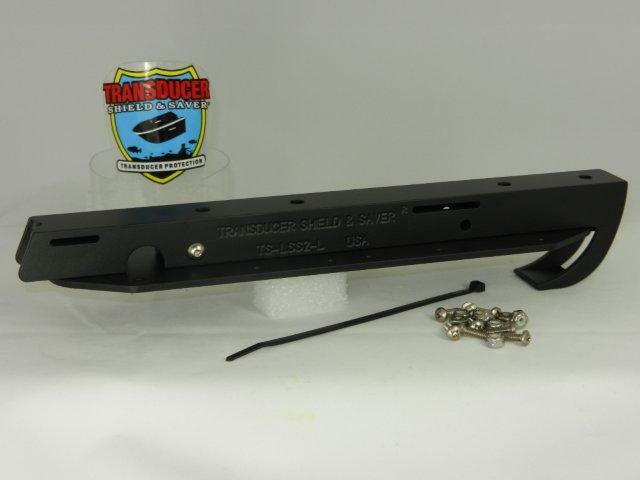 Item TS-LSS-1 is approximately 7” long and can be installed on certain trolling motors that have a built in sonar in the cone/bullet. If you were planning on installing this Transducer Shield® on your trolling motor but it does not have a built in sonar, then please see Item # TS-LSS-3D. 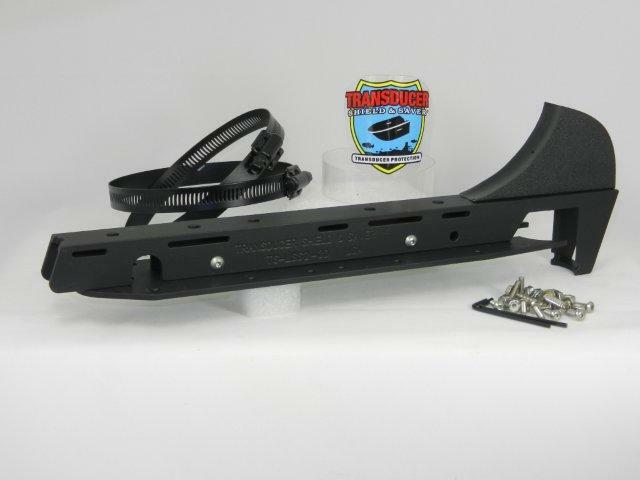 Warning: Motorguide® 55lb thrust and below OR Minnkota 70 lb thrust and below, additional components will be required.